Oddball Dispatch #1 | The first official Oddball newsletter is here! 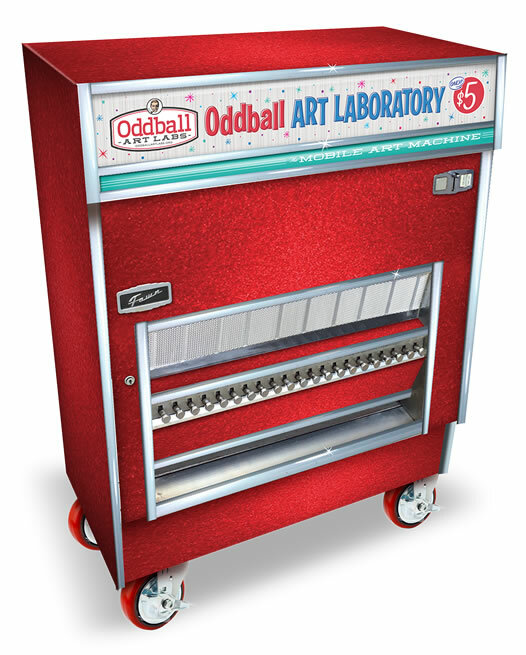 The first official Oddball newsletter is here! We want to thank everyone who has attended and participated in our shows and events this year and in previous years. As we get ready to launch into 2019, we are excited by all the new endeavors on the horizon. We hope you will continue to follow us on this journey as we continue to grow and figure things out. From the entire Oddball crew we wish everyone warm holiday wishes! 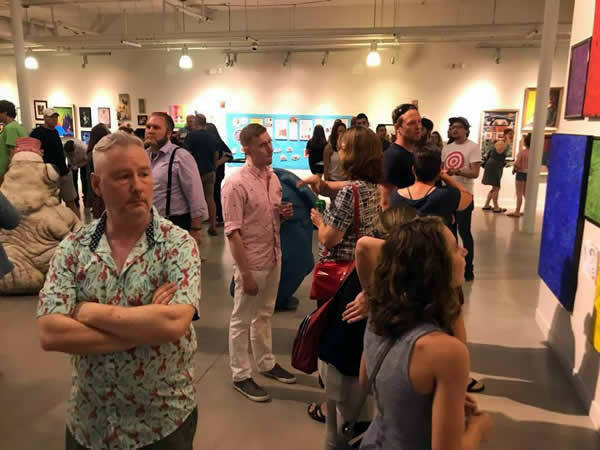 July 13th, 2018, we kicked off our largest show to date, Strange Imaginations and Other Perplexing Wonders: “A Celebration of the Pop Surrealism and Lowbrow Art Movement”. Not only was it well attended but we raised over $1200 for Pads of Elgin, Inc. This non-profit organization provides safe shelter, support services, and advocacy to homeless individuals in Dundee, Elgin, and Hanover Townships. The Strange Imaginations show featured over 45 artists and over 150 pieces of art! The Mobile Art Machine Rolls into Town! SAVE THE DATE: Cartoon Cavalcade A Celebration of All Things Toony! Our next big show for 2019 is Friday July 12th. Stay tuned for further details and an artist call. We are already in the works for this show and have a lot of fun little extras planned for this event! The year that is! This year we focused on our large art show and the creation of the Mobile Art Machine. We also took part for the first time in Art & Soul on the Fox. We had our first print shop and did our first sales for artists instead of in the past artists having to handle all of their own sales. While it was not without its bumps, we tried to figure everything out; we did learn a lot and already have improvement ideas for next year’s show. This whole thing has been a huge learning experience for the Oddball crew and we’re very thankful and grateful to everyone for the encouragement and patience to work with us and give us a chance. We’re hoping that in the future we are able to come up with more interesting ideas like the Mobile Art Machine. Here’s to future shenanigans and lots of great things in 2019! Any ideas for fun projects or shows you think we should be a part of, please drop us a line!